Add a playful vibe to your ensemble with Fendi‘s Witches bag charm. 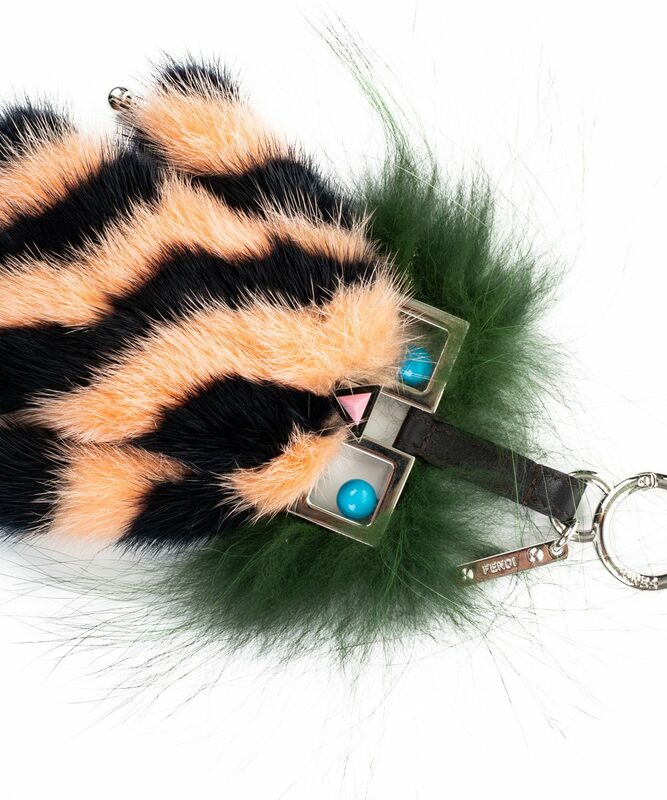 Carefully constructed from the softest racoon fur, mink fur and leather, this bag charm features metal details inspired by Fendi Faces, a orange and purple fur body, flexible legs complete with little furry shoes and a leather lace and a palladium-finish spring clip and engraved Fendi logo tag. Attach yours to your bag or set of keys for unconventional fun.